In attendance: Audrey, Dave M., Craig, Carl, Victor, Terry, Dave S.
Non-Profit Status: Per accountant’s advice: 501c(7) is appropriate choice for PG, most income is directly related to running the club for its intended purpose of a being social club, which keeps us in the appropriate range for tax purposes. Recommended we use LegalZoom.com unless we have any lawyers willing to help us for free, online may actually be easier anyway, small fee, began going through this process, will determine what further information is needed. By-laws on hold until clarification on what, if any, additional and specific information is needed. Calendar/Upcoming Events: First Saturday 7/7 @ City Tavern (3:30pm), FF 8/3 @ Four Points Sheraton Pool, AHA Mead Day Sat 8/4, FF 9/7 @ Tomm Carroll’s Trux Stop. Summer Party: Sat 7/21, 1-8pm @ Neil’s duplex on Rubens Ave, Oktoberfest theme, no minors or pets. Fees: members free, all guests $10, admittance will be capped. Set-up Sat 7/14 & Fri 7/20, volunteers needed for set-up, clean-up, food prep, & cooking. General raffle + silent auction for club brew system. SCHF (Victor): Recap & recommendations / changes for next year: more definite schedule for booth (esp. during dinner shift time), CDS set-up Fri pm & Sat am and break-down Sun am (determine set times & volunteers ahead of time), make sure all kegs are labeled before going over to booth (leave in campsite to ID & take over Sat am), build new PVC support for club banner (thicker PVC- 1inch, shorter, maybe add awning too? ), new large PG banner soon perhaps. Road Trips (Kurt): OC on Sat 6/9 cancelled due to lack of interest/not enough paid riders. Will wait to plan another one for a while. Craft Art & Folk Art Museum Homebrew Event: Sunday 7/15 (5-8pm), Contact: club member Gregory Nylen ([email protected]), What: discussing & sharing local craft / homebrewing, Where: Museum address: 5814 Wilshire Boulevard, Los Angeles, CA 90036, www.cafam.org, Bring: 1-2 styles to share, preferably in keg, though a six pack could work, opportunity to share & talk about their brews, Cost: $10 for CAFAM members, $15 for non-members, and will include admission to the museum, which is having a very cool baseball related exhibition at the moment in addition to others (check it out here: http://www.cafam.org/). Brewers who bring beer for sampling will of course get free admission (and a dog!). We will also have some snacks and a DJ, Food: Specialty hot dog food truck (Let’s Be Frank) cart will be inside. Merchandise (Terry/Audrey): New Glasses– selected Discount Mugs #2860AL w/2 color logo (PG oval red/black), 4wks to process & ship (will be here by summer party). COY shirts– 11 left (past break-even point- all profit now). Leashes– made about 90 for SCHF – sold out quickly ($450, $150 material cost, $300 profit), will make another batch (maybe increase velcro length some to accommodate larger glasses). Asset Manager: Has key to storage unit, will manage supplies for club meetings, make copies of key. Club Meetings: Meeting set-up going well, posting monthly article to recruit homebrew kegs in style of the month and style tasting volunteers. Finance: Current balance $6,366.65 as of 6/1. Annual Budget still has deficit of $1,530 so fundraising needed & additional expenses need to be approved ahead of time, we cannot utilize PayPal until we have legal status. Summer Party Budget: $2,300 based on last year’s expenses (Food: $1,000, Supplies: $250, Rentals: $400, Awards/Raffle Prizes: $300, Equipment: $100, Other/Decorations: $250). Income from last year: $750 (Raffle: $500, Guest Fees: $250). COC Schedule: July- Porters (due 8/10/12, entries due @ CCHBS Fri 7/13 or by 12pm @ Neil’s for judging) September- Light Hybrids (due 10/6/12, judge at Sept club meeting), October- Old Ales (due 11/10/12, judge at Oct club meeting), January/February 2013- Un-Session Beers (OG>1.040, due date TBA, but January meeting likely), March/April 2013- Barleywine (Feb meeting for judging). 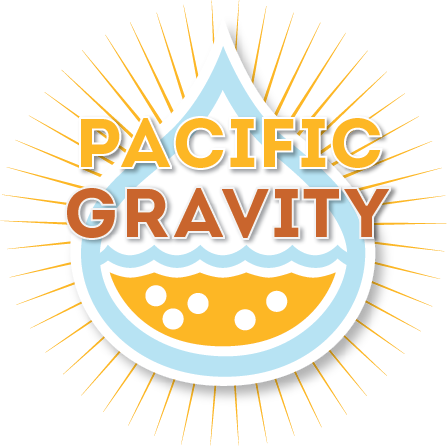 Competition Schedule: July- LA County Fair, September- PBC hosted by Strand, October- CA State Homebrew Comp. Flyer: Continue to create monthly & leave in store, including July even though no club meeting that month. Brochure @ CCHBS: Out of date, will make new one with new member sign-up sheet. Website: Dave S.- Server transfer complete & ready to switch over, new version of site ready, has new functions such as member login, forums / discussion boards, RSVP to events, & picture sharing available. Board will review, send feedback & make modifications over next week prior to launching. Plan to go live by club meeting & use for summer party planning / attendance / volunteering.